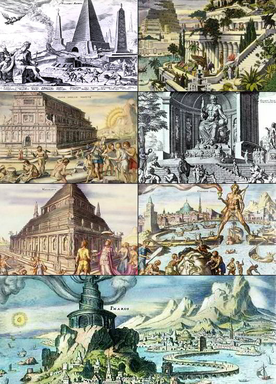 The Seven Wonders of the Ancient World is the first known list of the most remarkable creations of classical antiquity; it was based on guidebooks popular among Hellenic sightseers and only includes works located around the Mediterranean rim and in Mesopotamia. The number seven was chosen because the Greeks believed it represented perfection and plenty, and because it was the number of the five planets known anciently, plus the sun and moon. Many similar lists have been made. In the 19th and early 20th centuries, some writers wrote their own lists with names such as Wonders of the Middle Ages, Seven Wonders of the Middle Ages, Seven Wonders of the Medieval Mind, and Architectural Wonders of the Middle Ages. However, it is unlikely that these lists originated in the Middle Ages, because the word "medieval" was not invented until the Enlightenment-era, and the concept of a Middle Age did not become popular until the 16th century. Brewer's Dictionary of Phrase and Fable refers to them as "later list[s]", suggesting the lists were created after the Middle Ages. Many of the structures on these lists were built much earlier than the Medieval Ages but were well known. In 1994, the American Society of Civil Engineers compiled a list of Seven Wonders of the Modern World, paying tribute to the "greatest civil engineering achievements of the 20th century". In November 2006 the American national newspaper USA Today and the American television show Good Morning America revealed a list of "New Seven Wonders" as chosen by six judges. An eighth wonder was chosen on November 24, 2006, from viewer feedback. In a 1999 article, Astronomy magazine listed the "Seven Wonders of the Solar System". This article was later made into a video. 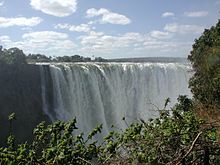 British biographer, science writer, and novelist Ronald W. Clark published a book of man-made and natural wonders titled Wonders of the World, which lists 52 wonders, one for each week of the year. Travel writer Howard Hillman published two books on the subject, one with 10 man-made wonders, and one with 10 natural wonders. Morris, Neil (December 30, 2002). The Seven Wonders of the Natural World. Chrysalis Books. ISBN 1-84138-495-X.